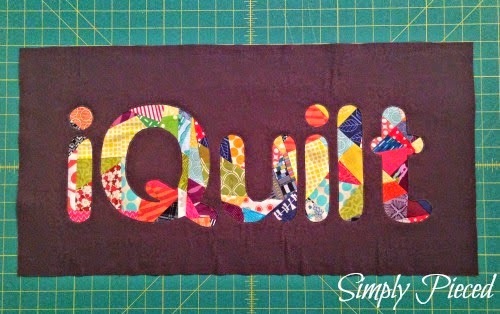 My Quilt Infatuation: Time to Link Up! Welcome back to Needle and Thread Thursday, friends! Although I missed NTT last week, my Thanksgiving holiday was absolutely fantastic, and I hope yours was as well (if you're in the US, that is). I'm posting early, because tonight I'm hosting the first of three parties this week. The teachers I work with are coming over after school for some holiday fun! So, I figured NTT was better early than late (or forgotten after the party is over!). Since finishing Laundry Money, I haven't sewn a single stitch. That's just the way it is around the holidays for me. This is how I end up spending a lot of my time this time of year instead, and that's okay by me. I hope that even as I'm losing sewing time, my family is gaining priceless holiday memories. So, let's go ahead and check out some of the highlights from our party two weeks ago! 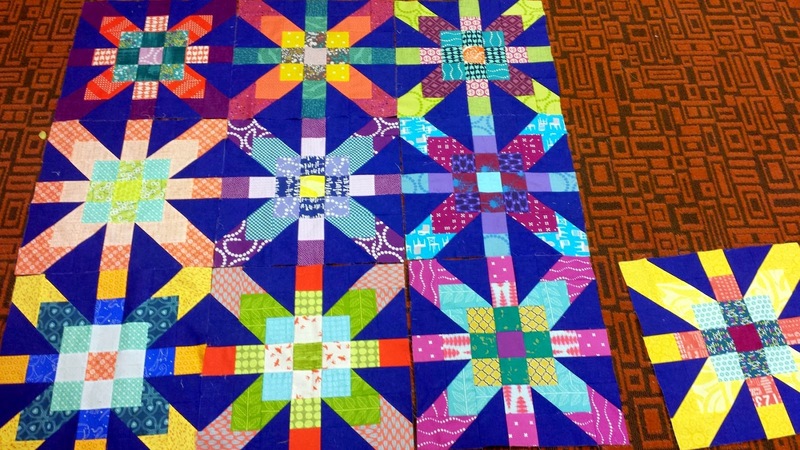 Jess at Quilty Habit shared these oh-so-awesome Supernova blocks. Don't you just love these rich colors? 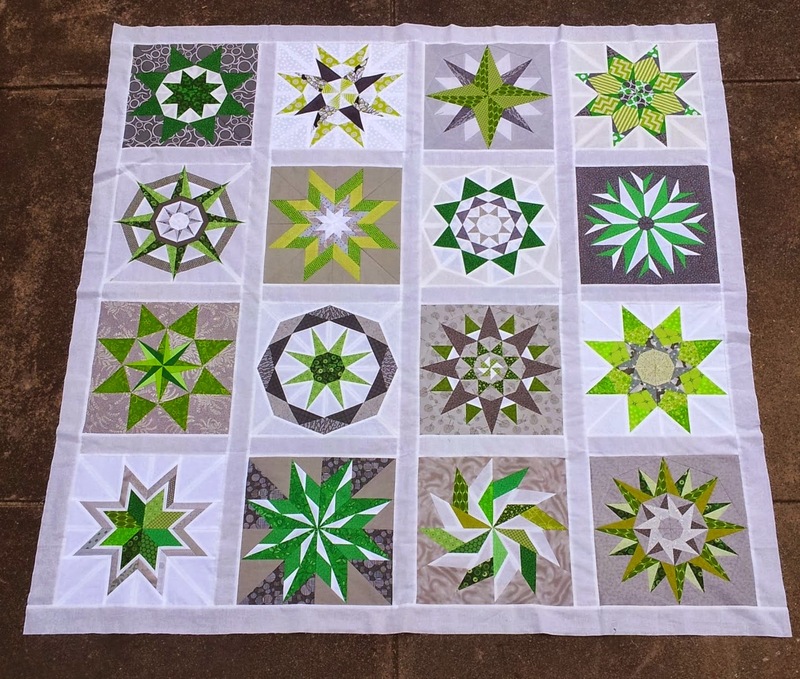 Curlyque Sue showed off this green and gray star beauty. You know how much I love green, and I really love how it pops against the gray. and Janet at Simply Pieced linked up this reverse appliqué wall hanging. What a fun idea. The scrappiness just rocks! Incidentally, Janet is coming over on Sunday for our MQG Christmas party/meeting on Sunday (the final party for the week) and I really hope she brings it so I can ogle it in person. Even though I'm not getting much sewing time lately, I surely hope you are! Time to link up your latest creative quilty endeavors! Thanks Kelly! Sometimes you have to just sit back and enjoy. :) That advent calendar idea is adorable! I love the inspiration and motivation that comes with NTT. Since I'm not a tech-y I was wondering if one must be a blogger in order to link up? I am working on a Stacked Squares Quilt using your dimensions. I thought maybe I'd share. Hi Janice! I'm so happy you enjoy NTT! I think you can upload a photo and just leave the website part blank. Or you could put your photo into Flickr or Photobucket (both free online photo galleries) and upload the Direct URL for your picture. Good luck! I would love to see your progress. If it doesn't work, please feel free to send an email to me with your photo! I would love to see it! My contact info is on my About Me page. Have fun with your workmates! My school had our end of year function last Friday night - a lovely way to end the year, some fun fancy dress costumes and a great meal. Enjoy yourself! Thanks for hosting and Happy Holidays!